How much wood would a wood watch watch if a wood watch could watch wood? Was that a bit of a stretch? Even for me? Let me give you the brief version, free of lousy puns: Jord, a St. Louis-based company, makes fantastic wood watches – and was nice enough to send me one. See for yourself. If you’ve read this blog before, you know I tend to obsess over things. New shirt? 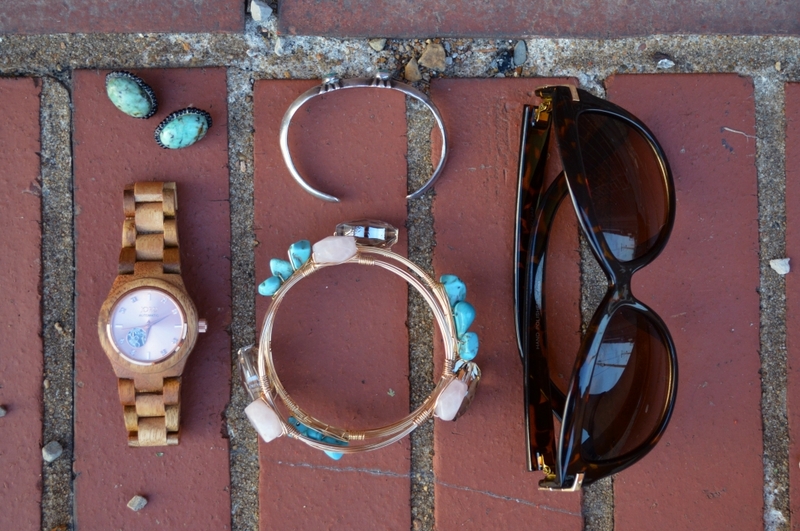 Wear it three times in a week. New lipstick? Apply it compulsively, even before running errands. My new timepiece is no different, and I can say it has perfectly matched not just stripes, but chambray, sweaters, and more. 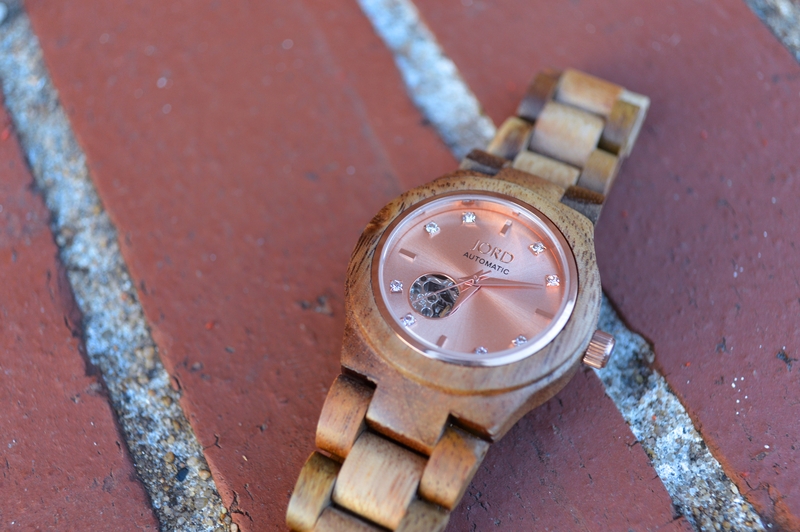 This watch, part of Jord’s Cora Series, is made of koa and rose gold, which makes it seem both full of texture and very polished. 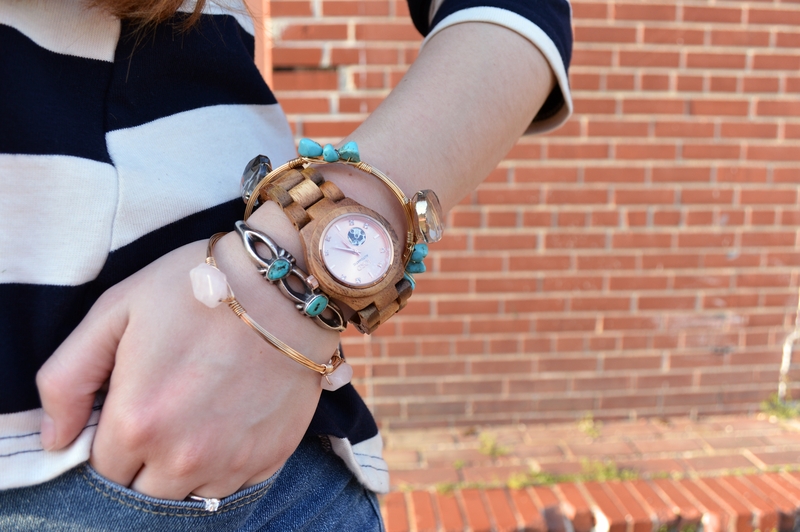 It’s lightweight and comfortable – and it goes perfectly with other metals and stones. 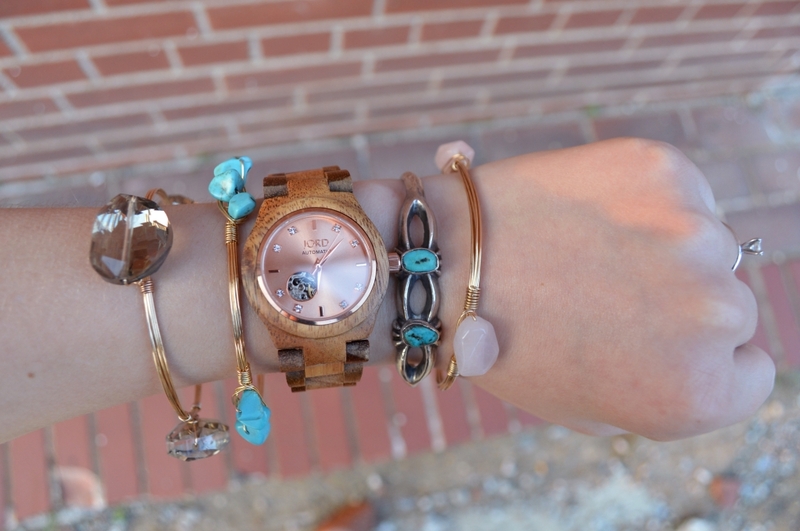 Please let me formally introduce you to the arm party staple I’ve been missing all my life. Exciting side note: I suppose this is because I’m not well versed in watches, but when I found out that being an automatic watch means it requires neither winding nor a battery, I was pretty ecstatic. The amount of dead, abandoned watches in my top drawer is pathetic. No more batteries! Wooo!